Creating the right environment within the Lodge is a key element to recruiting new members to our organisation. Like with most good business practises, developing a series of guildelines and principles will help your Lodge in developing the disciplines to more proactively manage Lodge membership. Development of the Freemasons Toolkit has provided key collateral to assist Lodges in creating the right environment in which to introduce new members. We are constantly on the lookout for new and innovative ways to attract new members to our organisation. If you have an idea that has worked particularly well for you - or for your Lodge - tell me about it so I can share your idea with other Lodges throughout New Zealand. Don't hesitate to drop me an email on any good ideas you may have on Lodge membership - or ideas you may have on adding content to the Freemasons Toolbox. You can reach me by clicking here. The Freemasons Toolbox is being continually added to. Since the last update the following changes have been made. Visit the Toolbox to discover what they are. Ensuring The Lodge Is Conscious of Potential Safety Hazards & Risks – A must read Tool for every lodge and/or Hall company to consider - addresses obligations arising from the change to the Workplace Health and Safety Act 2015. Preserving & Caring of Lodge Records – An informative tool for those interested in caring and preserving the records of the Lodge. A good read, particularly for secretaries. Hold a Paddy Night – Sets out how to have a fun Lodge night with an Irish theme. Good tool to try out around St Patricks day. With the ‘changing of the guard’ at the Grand Installation management of the pillar initiatives has been reorganised under one national operational advisory team otherwise known as NOAT. 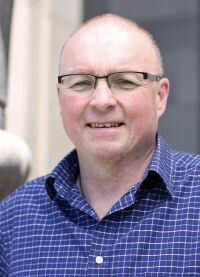 The team will consist of a chairman, three Divisional Pillar Coordinators each representing a Division, the Chair of the National Education Committee Dr George Allan and the new Grand Almoner Bob Monson. I have the privilege of taking on the chair role and ensuring the NOAT fulfils its brief of identifying the resources required, then developing and undertaking the necessary projects to create them, followed by coordinating the roll out of such resources to the Lodges through the Divisions and Districts. Much work has been achieved during the last three years since the current Strategic plan and the seven pillars of Leadership, Education, Membership, Charity, Community Engagement, Communication, and Organisational Development were launched. But there is still much to do. While we have an excellent foundation of resources and initiatives, and more in the pipeline, they are of little use unless Lodges are actually using then and making the changes critical in meeting the needs /desires of brethren and growing the Lodge. Ensuring implementation of the tools and recourses is a critical aspect of NOAT’s work-plan – how do the brethren at Divisional and National level best assist you and the brethren in your Lodge to achieve? 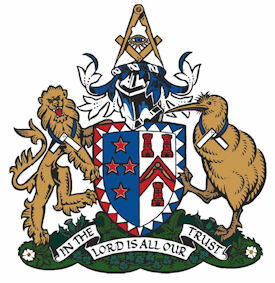 If you have views on this, membership or any idea that will benefit Freemasonry in New Zealand please don’t hesitate to email me on mem.chair@freemasons.co.nz. No one brother, including me, has a monopoly on best practice and it is critical we share ideas and potential resources with one another. I look forward to hearing from you. Grand Master MW Bro Mark Winger has launched the latest two publications supporting membership initiatives and the Speak-Up campaign. Both publications are winging their way to brethren at the three Divisional Conferences. ‘Simple Answers to Leading Questions’ is the next edition of the ‘Plain English Guide to Freemasonry’. It is designed to assist Freemasons to communicate openly and freely with the public. 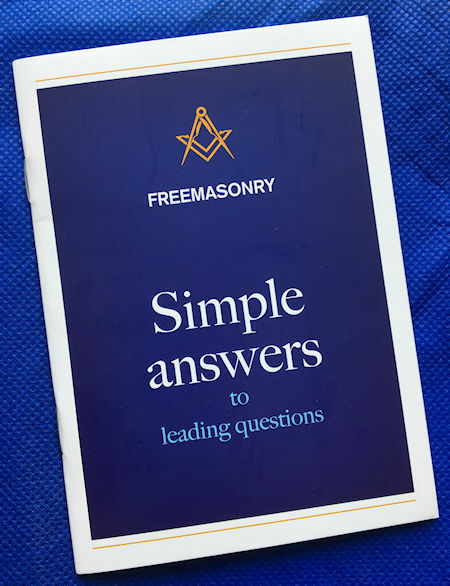 Succinctly written and covering all the leading questions one might be asked this booklet is compulsory reading for every Freemason – it only takes 10 to 15 minutes and will ensure you are well placed to speak about Freemasonry. ‘Enhancing Membership Recruitment, Growth and Retention’ is the third in the ’25 Tools For Success’ booklet series. It brings together 25 ‘tools’ from the Freemason’s Toolbox and captures many of the great ideas essential for every Lodge needing to enhance and improve the Masonic experience of every potential initiate, Freemason and their families. When you receive your copies of these publications please ensure they do not end up in the bottom drawer or a box in the cupboard. The first needs to be left out and about for others to read. The second needs to be discussed by the Lodge and an action plan made to implement the various tools. An important aspect of Freemasons fellowship is the various occasions when our wives and partners attend activities associated with the Lodge. Our Grand Masters wife Mrs Diana Litton during the last two and half years has probably attended more of such functions than any other woman associated with our fraternity. Earlier this year when sitting with Diana at dinner after one of the Divisional conferences we discussed her experiences, those that were enjoyable and those that were not, particularly when the ladies meet together. Subsequently we have collaborated, along with several other Freemasons wives on the ‘tool’ in the Freemasons Toolbox called ‘Enhancing Activities When Lodge Ladies Meet’. This ‘tool’ is essential reading for every Freemason, particularly those organising social activities. We owe it to our wives and partners, indeed our whole fraternity, to ensure that every wife, partner (and other family members) have nothing but a positive experience in sharing that aspect we all value so highly: fellowship. The tool is also worthwhile reading for any wife or partner involved in organising such activities. Take a look at the tool now at http://bit.ly/28QOjJC and share with others in your Lodge, particularly the Master, JW and other brethren and ladies involved in arranging social activities. The Freemasons Toolbox is being continually added to. During the last month the following changes have been made. Visit the Toolbox to discover what they are. Enhancing Lodge Membership, Growth and Retention - The latest of the ‘Tools for Success Booklets’ covering a range of Tools on this topic. Essential resource for all Lodges. How to Give Great Toasts – Being prone to disaster, giving a toast can be a terrifying speech to make. Even Mark Twain, at the height of his fame, confessed that he "was in awful terror" as he climbed onto a table to give a toast. A must read for all brethren tasked with giving a toast. Replying to the Visitors Toast – Replying to the Visitors toast is a privilege as you are responding on behalf of all the visitors present but you never know when you will need to reply to this toast – ensure you are prepared in advance. What Is Your Lodge's Point of Difference In Attracting Members? Freemasonry as an organization espouses as its reasons for existence three key themes of brotherly love, relief and truth; or better explained as fellowship among men (expanded to include families and spouses / partners); charity / benevolence; and education / self-development. Just as each company / business needs a point of difference to differentiate itself from its competitors, membership organisations do as well. i.e. other similar community organisations such as Rotary espouse one or possibly two of the above themes, but only Freemasonry does all three. But are these themes a sufficient point of difference for a lodge in your community? Furthermore what differentiates your lodge from any other neighbouring lodge? with a great standard of refectory experience. It’s time for all Lodges and individuals to show initiative and follow through on their actions to build a stronger future for Freemasonry - this was recently stressed by my counterpart in Victoria Australia, Bro Bruce Stockdale, Membership manager. Taking the initiative is not waiting for someone else to do it. Individuals, Lodges and Districts need to take the lead to recruit, retain, re-engage and reactivate members, whether it be in Victoria or New Zealand. There are plenty examples of Brethren and Lodges where initiative has been taken and the results on membership are happening. One of the best and most interesting case studies to highlight in our Division is Lodge Zetland in Wellington. Zetland have a unique Shetland Island background and tradition around the ‘hardy Norsemen’. That is a good start because they have a ‘point of difference’ but it is not enough on its own to enable lodge survival. Being forced to shift when as a tenant the building was sold they relocated across the city to another old and tired lodge facility. Their membership was dropping and it was a struggle – they made the decision to meet every two months (master elected for two years) and use the mid-month for a social function. It worked for a couple of Master’s terms. A good holding pattern but not going anywhere. Recruit 4 or 5 keen brethren from other Lodges to assist them on that journey. They now have a number of new members and good number of visitors. More importantly they presently have six candidates in waiting. It is working – Lodge Zetland are showing it is possible to re-invigorate a Lodge. Enhancing fellowship should be the continual focus of all lodges and brethren. By fellowship we mean not just the social activities, either in refectory or outside occasions, but most importantly that sense of brotherhood, friendship and caring for each other that we all value. Research initiated by Freemasons in Victoria, Australia in the last 12 months indicates that as Freemasons we proportion the value of fellowship at 70% compared to ceremonial, education and charity activities at 10% each. That is such a significant margin that it definitely indicates where we should be putting our focus. Accordingly it is critical that every lodge for its success recognises the importance of fellowship and provide the opportunities for all members to share and care with and for one another. This research shows that ‘Lodge’ is not just about attending the regular meeting and an associated ceremony – it’s far more than that. It’s about a regular and varied programme of social activities; it’s about fun and stimulating refectory; it’s about fostering internal benevolence; it’s about great mentoring; it’s about involving spouses and partners in an appropriate manner, and so much more. The Pillars team have now provided many tools in the Freemasons On-Line Toolbox to provide lodges and brethren resources on a vast range of topics. In particular there are numerous tools which have a fellowship theme, so many that shortly we will publish a new booklet on ‘Enhancing Fellowship In Your Lodge – 25 Tools For Success’. Keep an eye out for this publication and ensure the brethren in your lodge get copies. Particularly keep watch for the soon to be released tool, included in the booklet, on ‘Enhancing Activities When Ladies Meet’.